Start on forearms and knees. Keep your forearms parallel to each other, and your shoulders stacked directly above your elbows. Particularly root down through the inner edges of your hands (they tend to lift up). Tuck your toes under and lift your knees and hips to come into dolphin pose. Keep your shoulders stacked over your elbows, and walk your feet forward toward your elbows (as far as you can without collapsing into your shoulders). Hug your outer upper arms toward each other, press the center of your forearms into the floor like you're pushing it away from you. Maintain those actions as you lift a leg (like standing splits), bend your standing-leg knee, and kick up into a forearm balance. 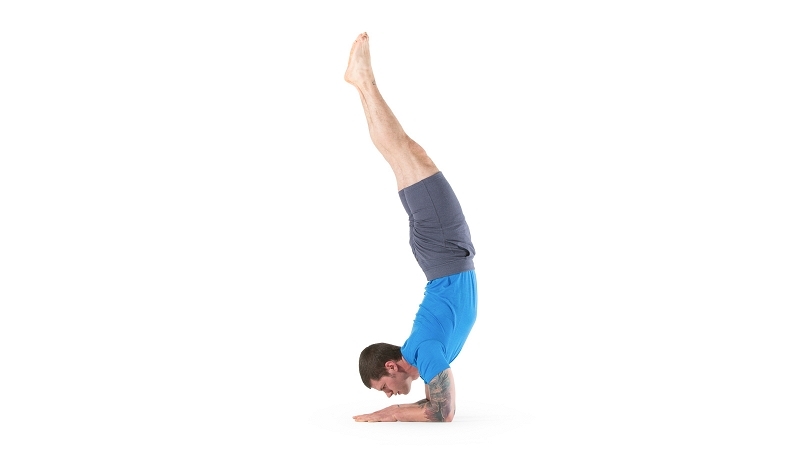 If your elbows splay open, hold on to a block, or interlace your hands like you would to prepare for headstand or headless headstand.